The Board is responsible for implementing governance policy and developing and approving strategies to better manage the organisation. The Board is appointed by the Governor in Council at the request of the State Minister for Health. The Board is accountable to the community that it serves for ensuring the provision of agreed services within the resources with which they are provided. The Board must therefore be responsive to its staff and the community and have the capacity to address a wide range of policy and governance issues. To fulfill its role, the Board has directors with a range of appropriate expertise and experience. The Board adheres to a code of conduct that outlines the role of governance and the conduct of its directors. To ensure the services provided by the health service comply with the requirements of the Act and the aims of the organisation. Ngaire Anderson joined the board in 2013 and became Board Chair in October 2017. Ngaire’s roots to Heathcote were established many years ago by grandparents on both sides; having grown-up in the town alongside two siblings, her family continues to farm and owns/runs a local winery. 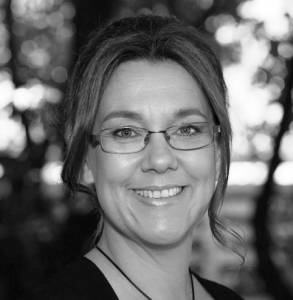 Ngaire brings diverse experiences to the table gained through working in clinical, managerial and executive roles in the healthcare sector in addition to the wine industry, and gains great satisfaction making a positive impact to the Heathcote community as a Board Member. Ngaire has a Bachelor of Health Science, Master of Business Administration (MBA) and is a graduate of the Australian Institute of Company Directors (AICD) course. 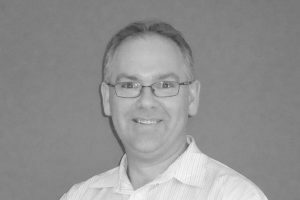 Norm joined the Heathcote Health Board of Management in July 2017. 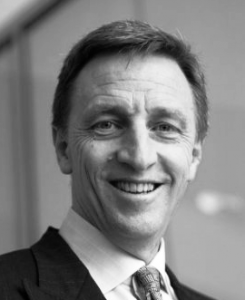 He has vast experience in large scale complex change management programmes across the Banking, Insurance and Health industries and have worked in Asia and Australia for high profile brands HSBC, Medibank and Allianz as well as an agent of WorkSafe Victoria. Personal resilience, a collaborative working style, integrity and a commitment to building trust underpins everything he does. After an extensive career in the Corporate world he is now focussed on developing and supporting businesses that are focussed on his passions of Health and Safety and assisting mature age workers transition to the next stage of their careers. Norm possesses a Bachelor of Business and a Graduate of the Australian Institute of Company Directors. In his spare time, Norm is a keen golfer, cyclist and master of the veggie patch. Norm is the current Deputy Board Chair and Deputy Chair of the Corporate Governance Subcommittee. Danny has a nursing background, originally in mental health, and has focussed on rural health for the last eight years. Having spent a bit of time in Heathcote over the years during his employment at Bendigo Health, Danny is looking forward to the opportunity to giving back to the community through his role on the Heathcote Health Board of Management. Danny is Chair of the Clinical Care & Safety Sub-committee. 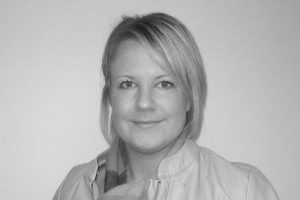 Rebecca joined the Heathcote Health Board of Management team in July 2016. She is currently employed as the Head of Risk & Compliance at Swisse Wellness and has past experience in various project management roles. Rebecca completed the Australian Institute of Company Directors course in 2015 and has a passion for health and wellbeing. She is excited to be joining the Board of Management at Heathcote. Although based in Melbourne, Rebecca considers herself a part time member of the Heathcote community, spending most weekends in the region on a farm with her family and is looking forward to supporting the local community via her work on the Board. Ann Lansberry is the CEO for the Community Foundation for Central Victoria where she implemented Australia’s first community Giving Day – Big Give. 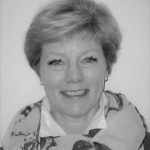 She is an experienced business executive and change consultant who is deeply involved in her local community. Ann is passionate about strengthening and engaging regional communities. She is excited about how digital innovation can bring people, causes and funding together. Ann loves the food in Central Victoria especially our local cheeses, she has 4 chooks, 3 kids and 2 cats. Ann holds a Master’s Degrees in Chemical Engineering, a Graduate Diploma in Business Administration and is a Graduate of the Australian Institute of Company Directors and the School for Social Entrepreneurs as well as holding qualifications in the Neuroscience of Leadership. Ann is also the Vice President of the Discovery Centre and Director of Australian Community Philanthropy. Ann is the Chair of the Community Advisory Committee. 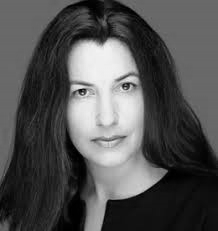 Draga has a MA(Counselling Psychology), Post Graduate Certificate and Post Graduate Diploma of Management Psychology and is a graduate of the Australian Institute of Company Directors (GAICD). 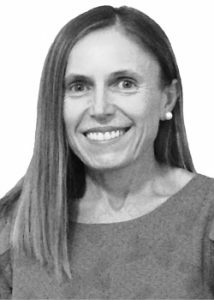 Colleen joined the Heathcote Health Board of Management in July 2018. Since December 2017, Colleen has become a full time resident of Heathcote and lives on a property not far from the town centre. Prior to this, she was a weekend visitor. Colleen has a nursing background, having worked in Neonatal Intensive Care, Newborn Emergency Transports and has spent the last eleven years as a Unit Manager in a Paediatric Forensic Unit. Colleen has also practised as a Forensic Nurse Examiner for adult clients. Colleen and her husband recently opened a business in Heathcote. As a director of the Heathcote Health board, Colleen looks forward to contributing to the Heathcote community at all possible levels. Natalie joined the Heathcote Health Board of Management in July 2018. Natalie has been practicing as a Barrister for over 10 years with a focus on Victorian and Commonwealth criminal law (including jury trials), child protection and various areas of regulatory and environmental compliance. Prior to being called to the Bar Natalie worked as a solicitor with the Commonwealth Director of Public Prosecutions (North Queensland, Northern Territory), Northern Territory Director of Public Prosecutions, Department of Sustainability and Environment (Victoria) and a specialist criminal law firm in Melbourne. Natalie and her husband Tim live in Melbourne but over the last 6 years have spent most weekends in Heathcote, working on their small rural property at Lady’s Pass and enjoying the fresh air, wine and getting to know the locals. Natalie is looking forward to engaging with the community and contributing her legal and compliance expertise to the Heathcote Health Board. Vin joined the board in July 2015 and his resignation is currently being processed.